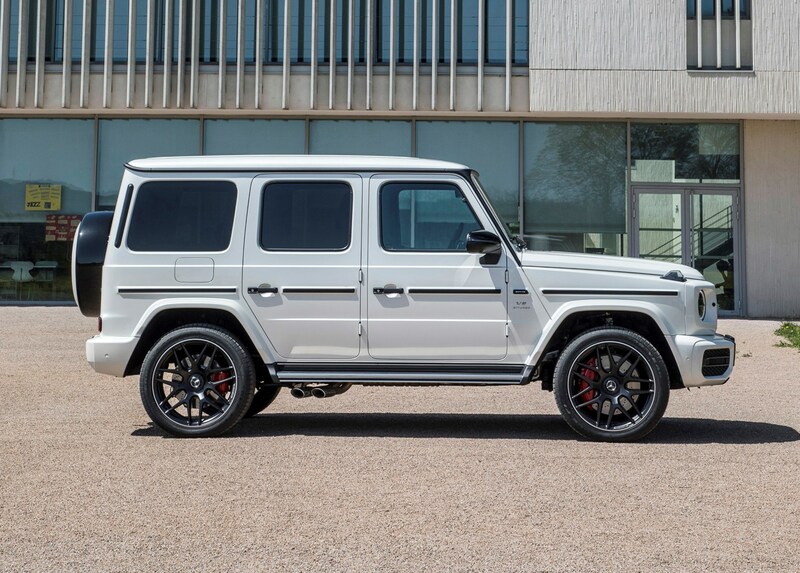 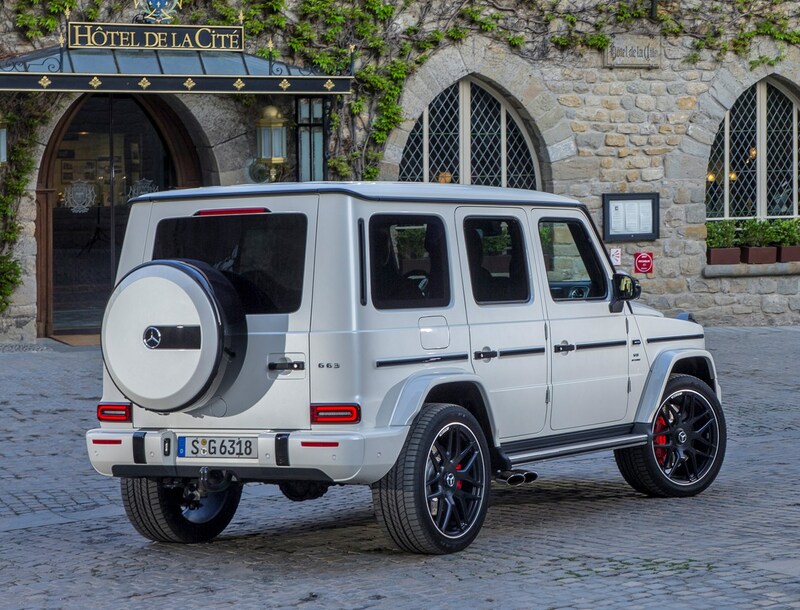 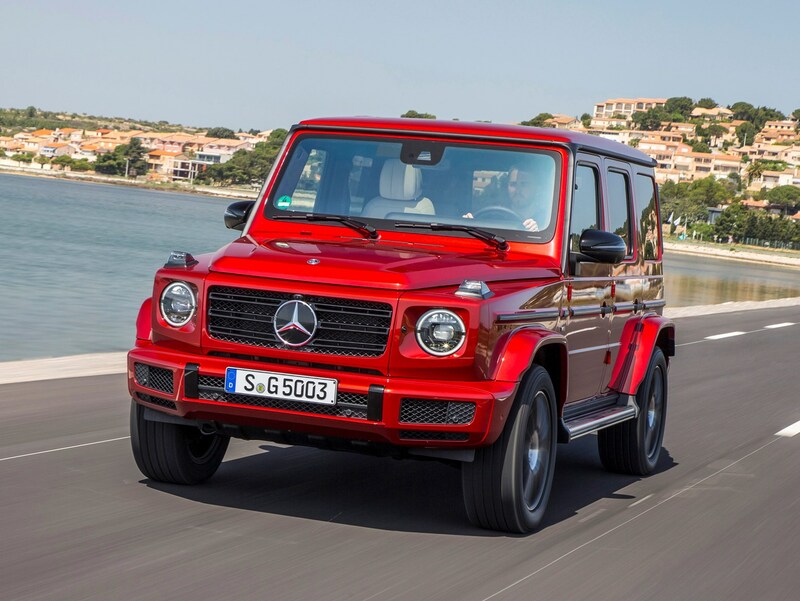 Although there are two versions of the G-Class available, the exact specification of the less expensive G 350 d isn’t confirmed at the time of publication, so this page will be updated accordingly in future. 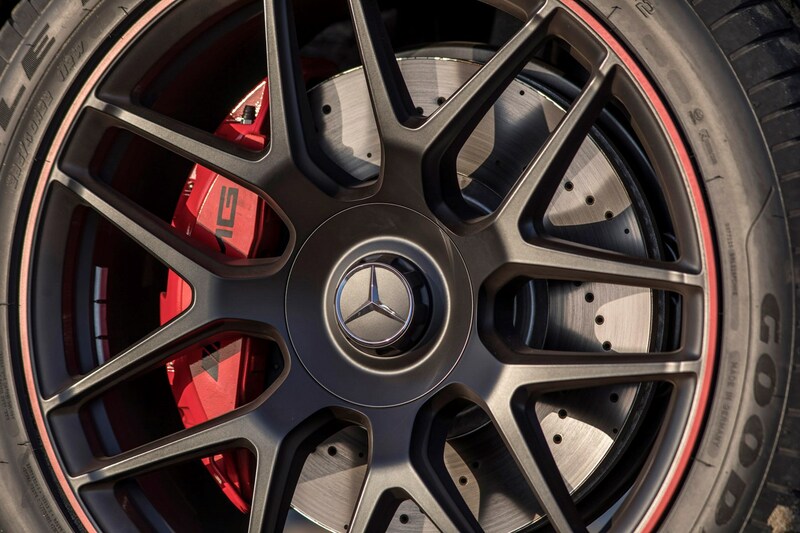 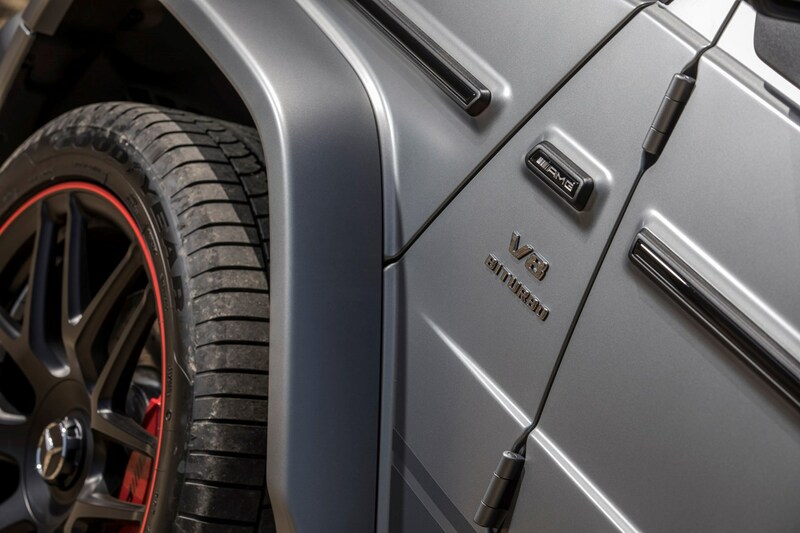 To personalise your AMG G 63 further, Mercedes-Benz will sell you the AMG Night Package, which swells the alloy wheel size to 21 inches in diameter (you can even trade up to 22in rims if you really want to strut your stuff; just remember that smaller rims will be better if you prioritise ride comfort or want to head off road). 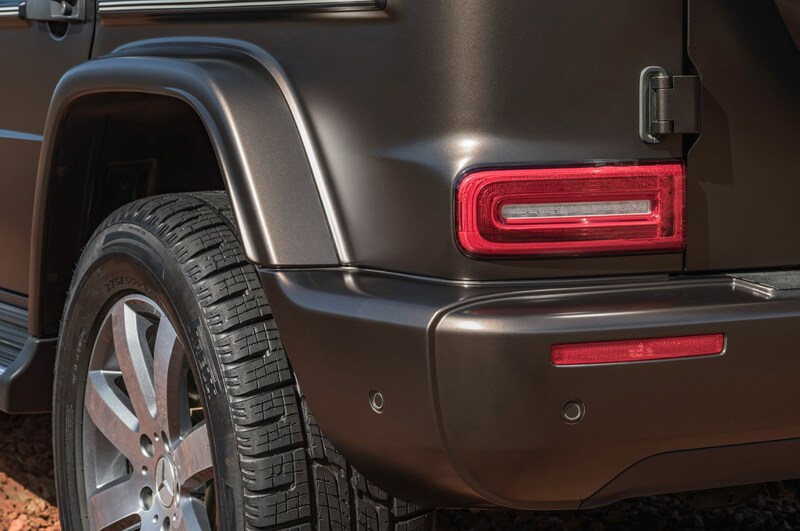 This styling pack also smokes the exterior chrome detailing in Obsidian Black, for a more menacing stance. 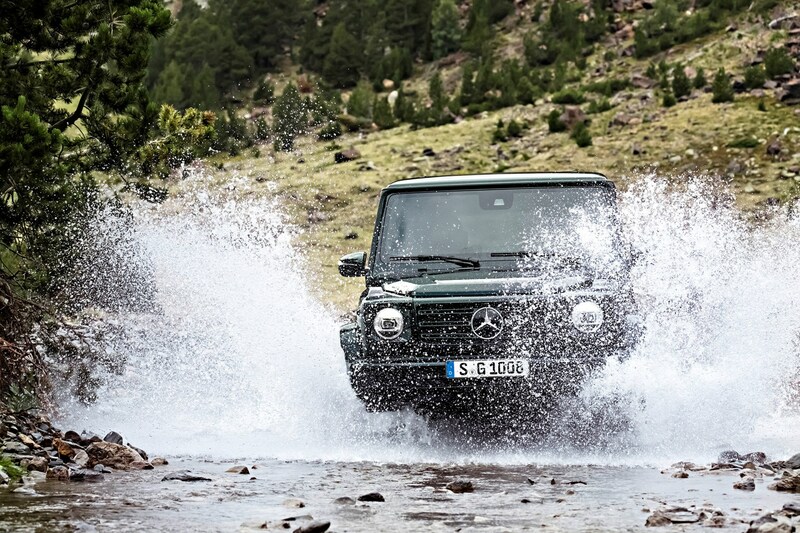 If you live in the countryside and want a rapid-defrost option, the Mercedes G-Class Winter Package sounds like a smart buy. 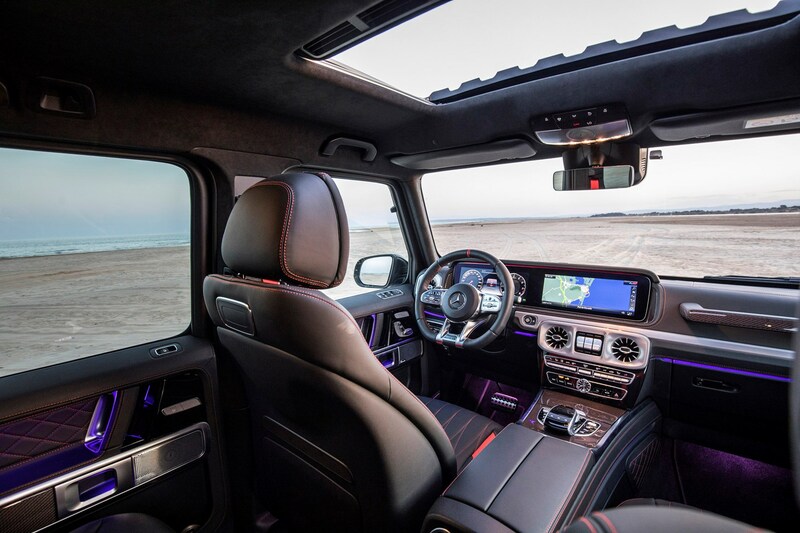 This includes a heated windscreen and an auxiliary heater, which can be programmed remotely to warm up the cabin in advance of set-off. 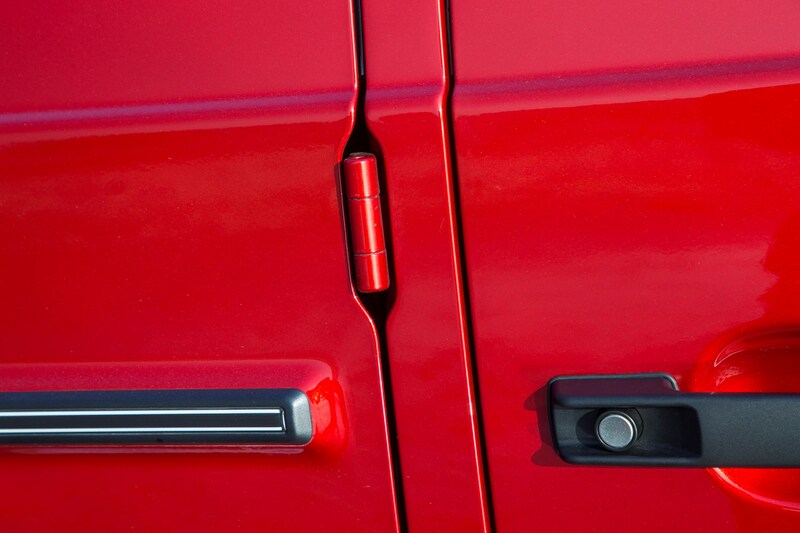 Both useful features to save frosty fingers and bums on a cold winter’s morning. 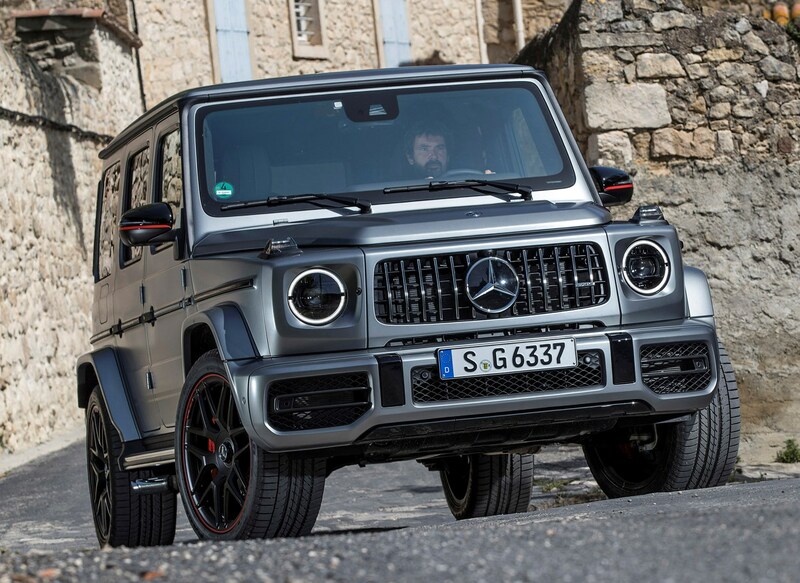 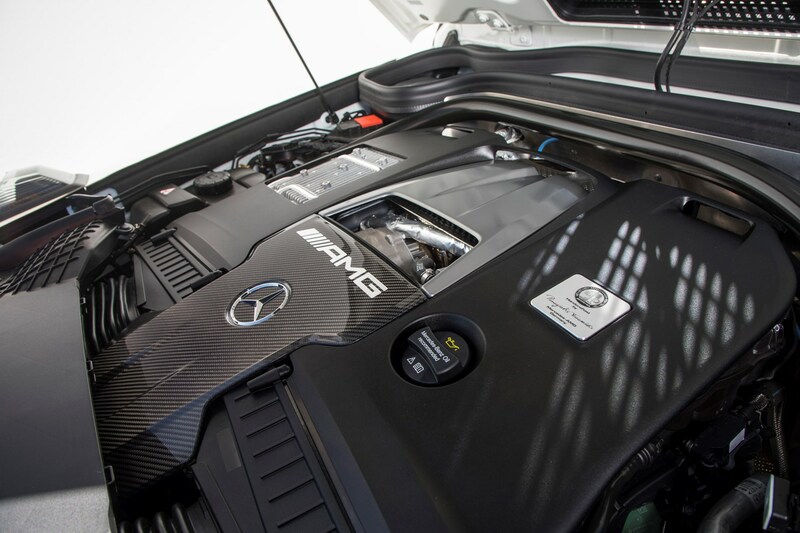 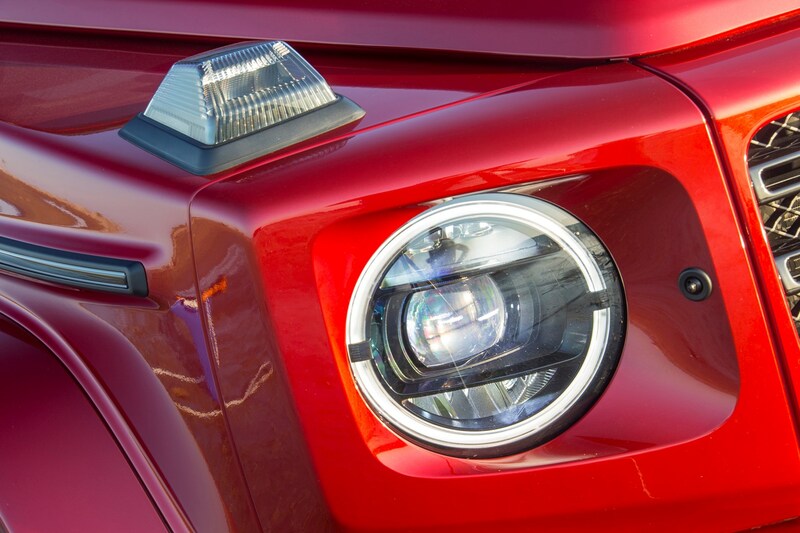 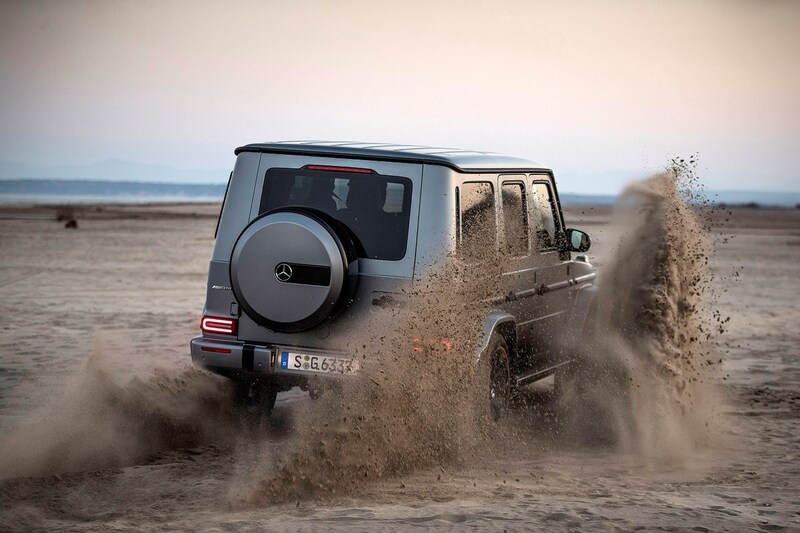 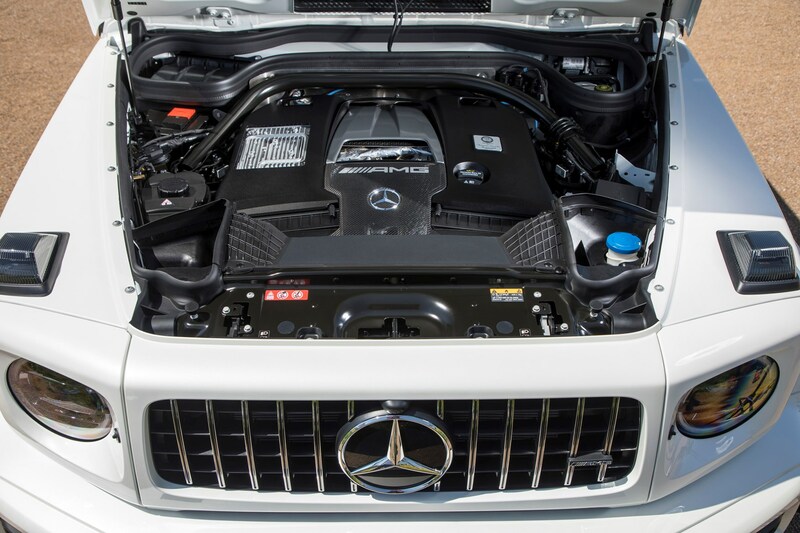 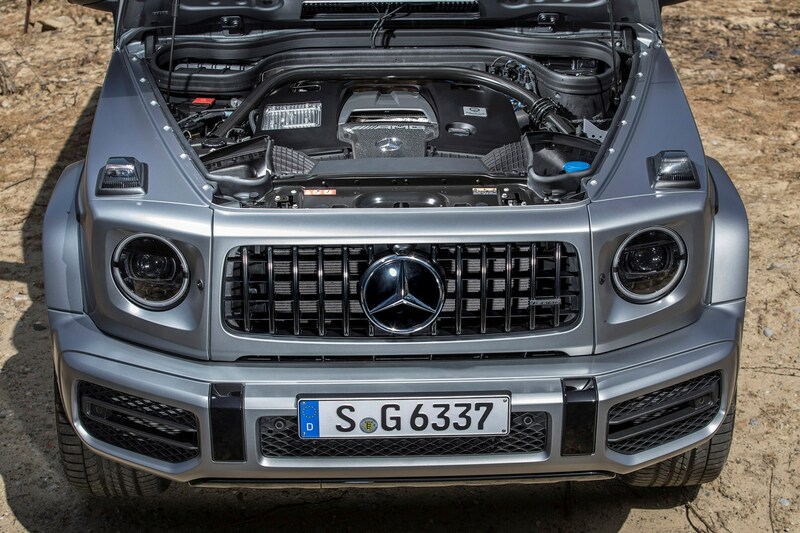 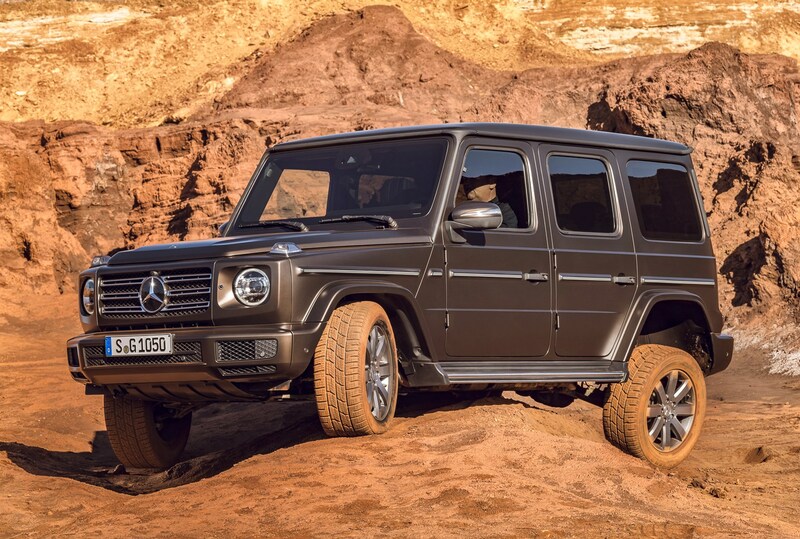 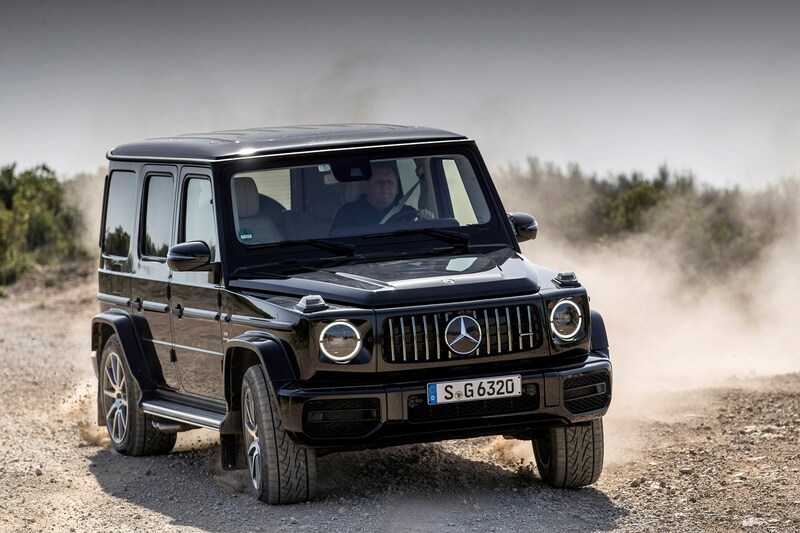 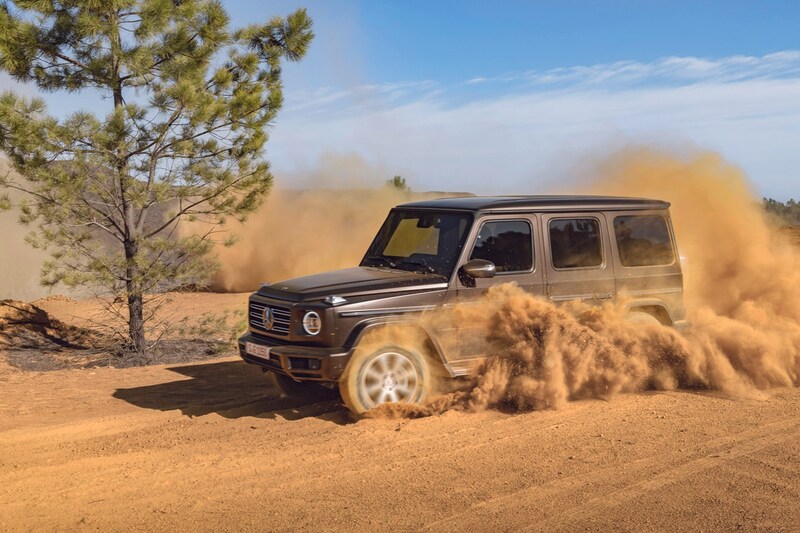 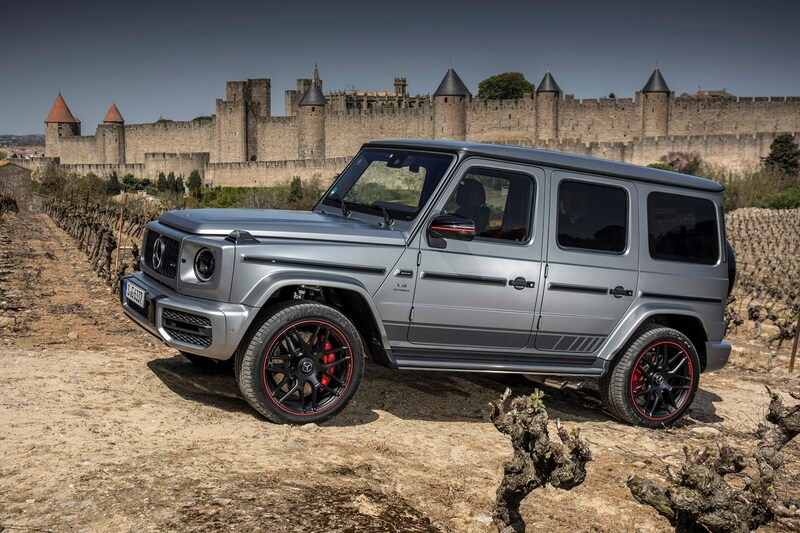 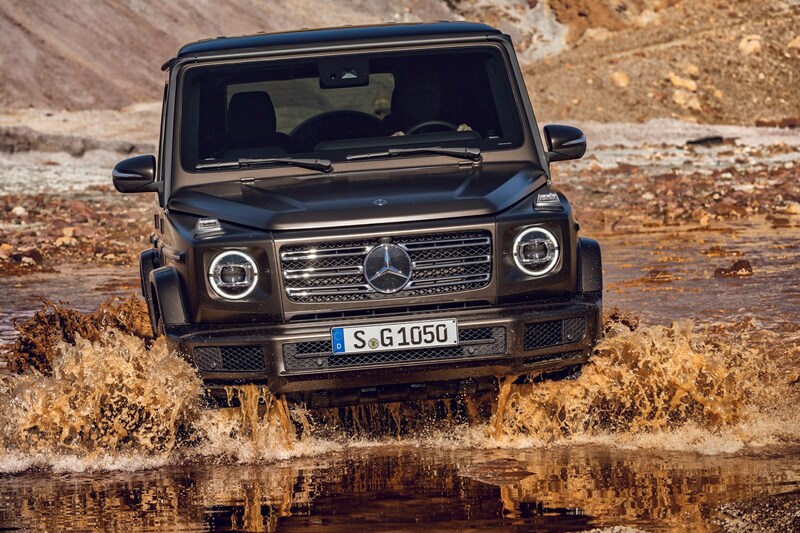 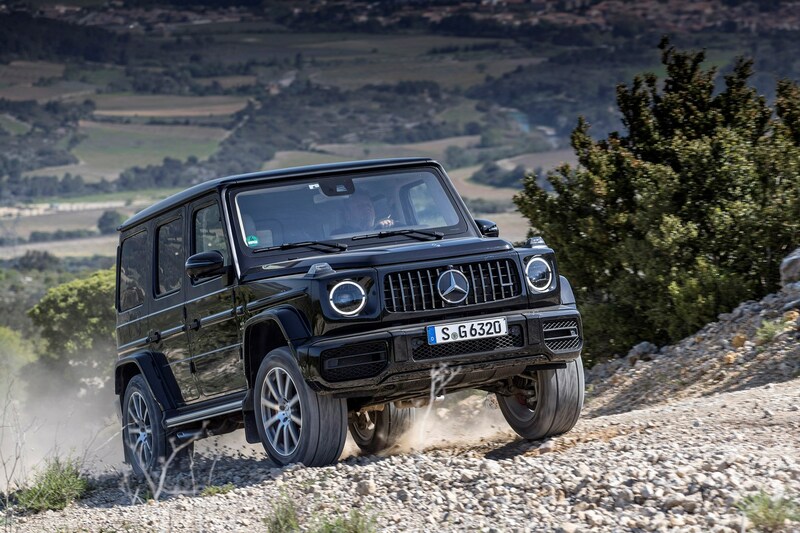 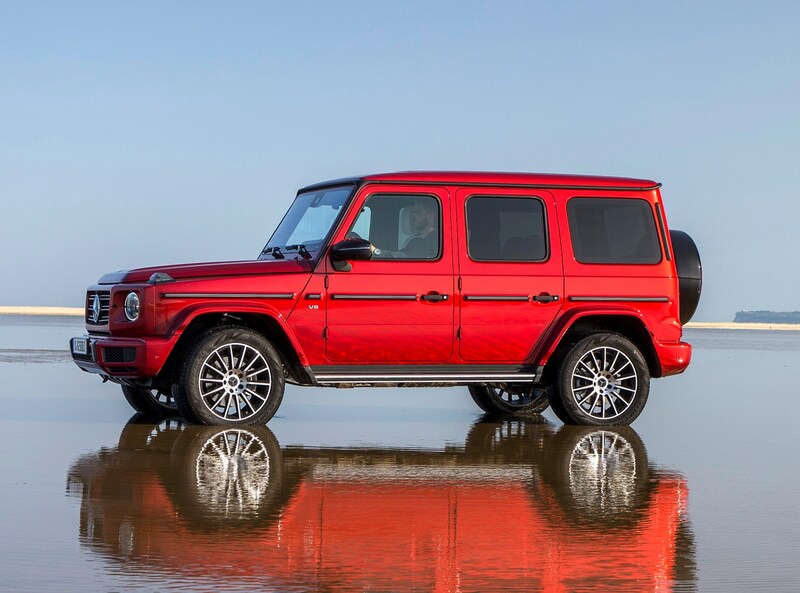 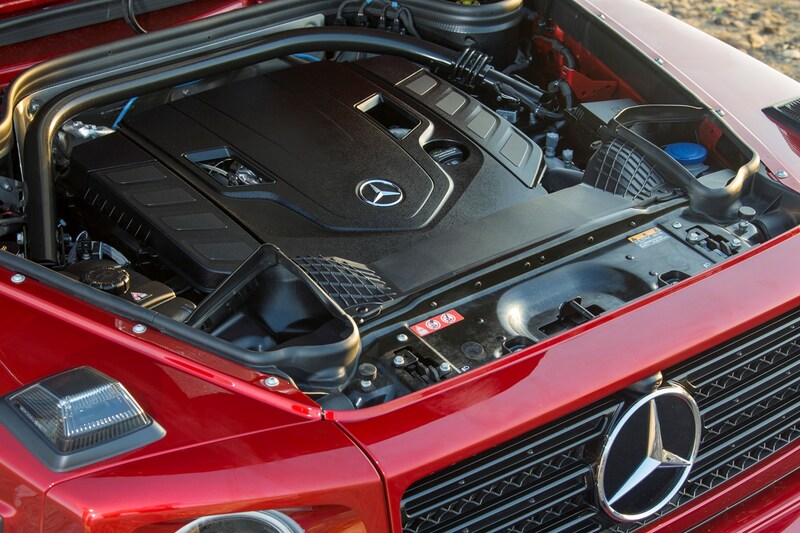 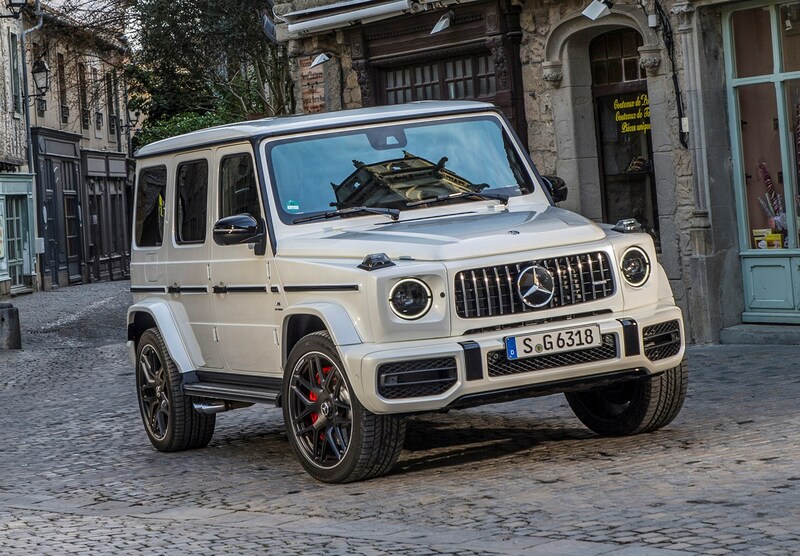 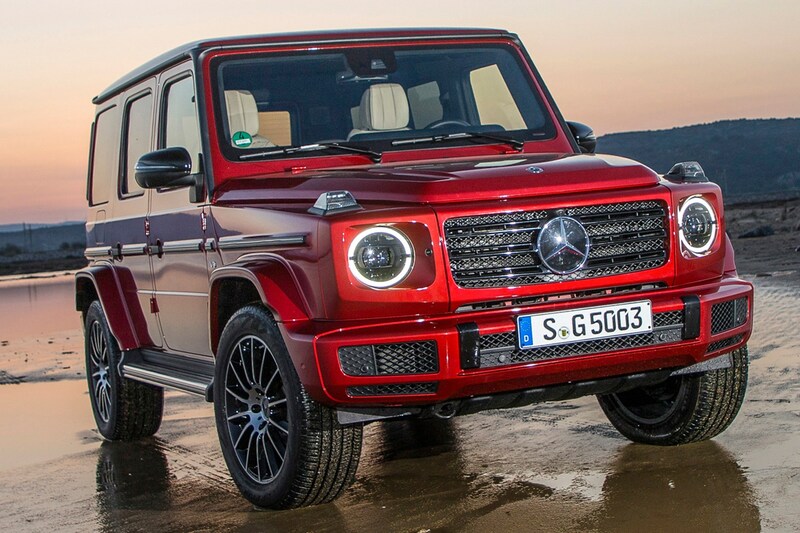 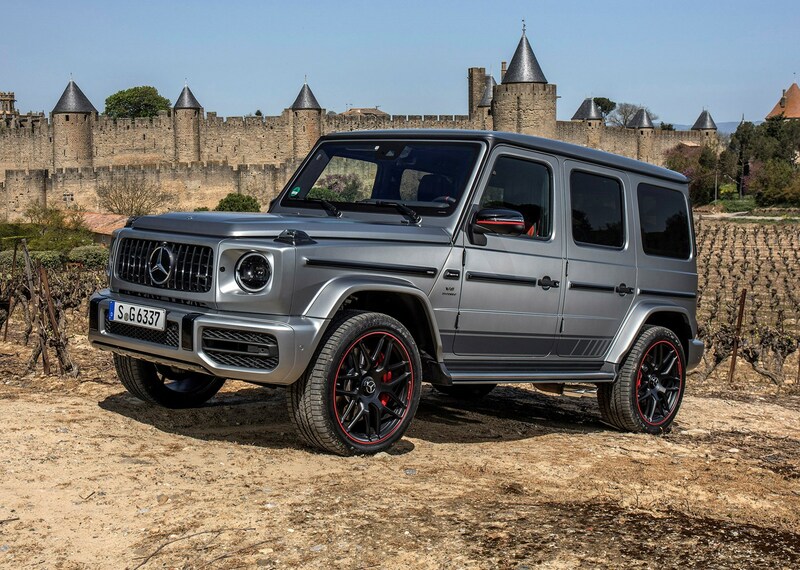 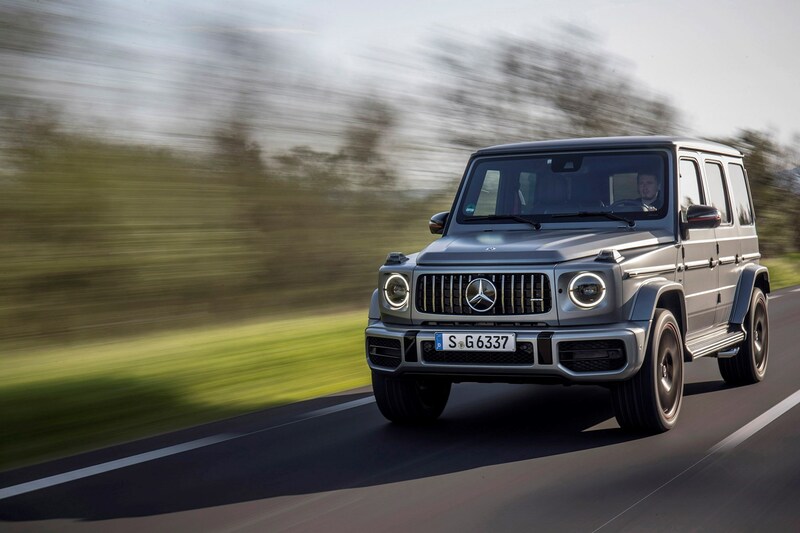 The Mercedes-Benz G-Class is a strong, robust car - qualities reinforced when it was awarded a five-star crash-test rating by Euro NCAP in 2019. 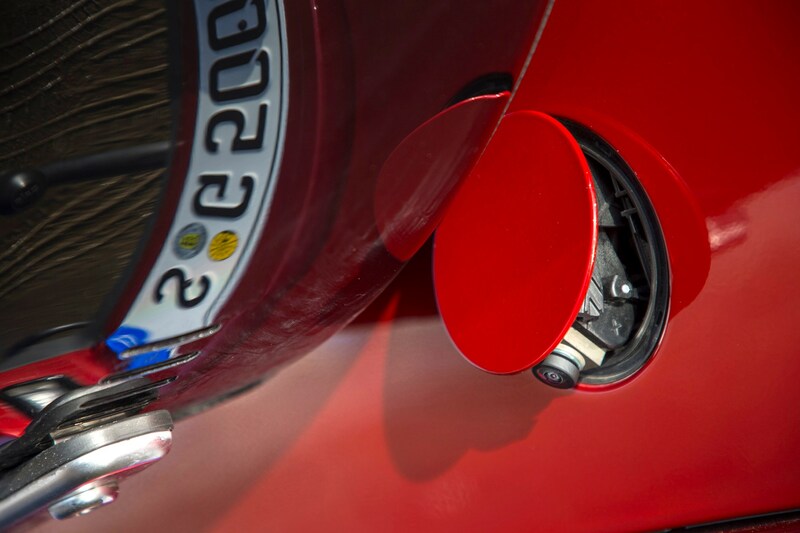 There’s plenty of equipment aimed at making sure a crash doesn’t happen in the first place. 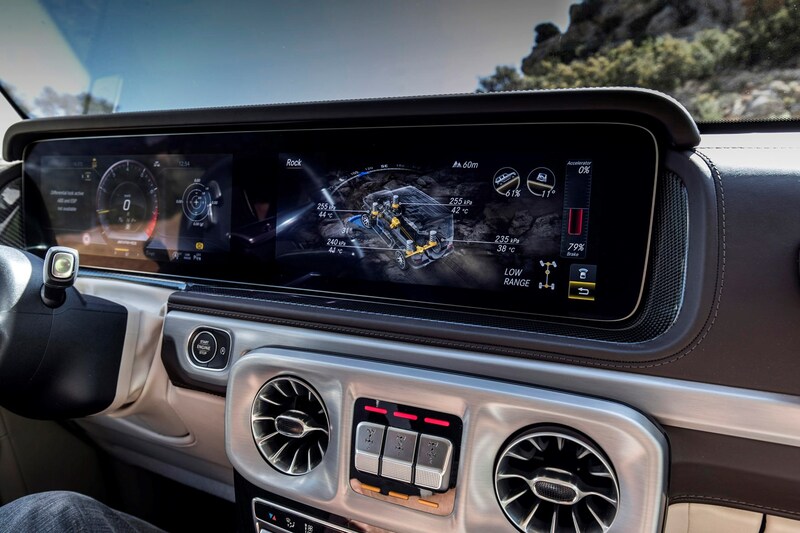 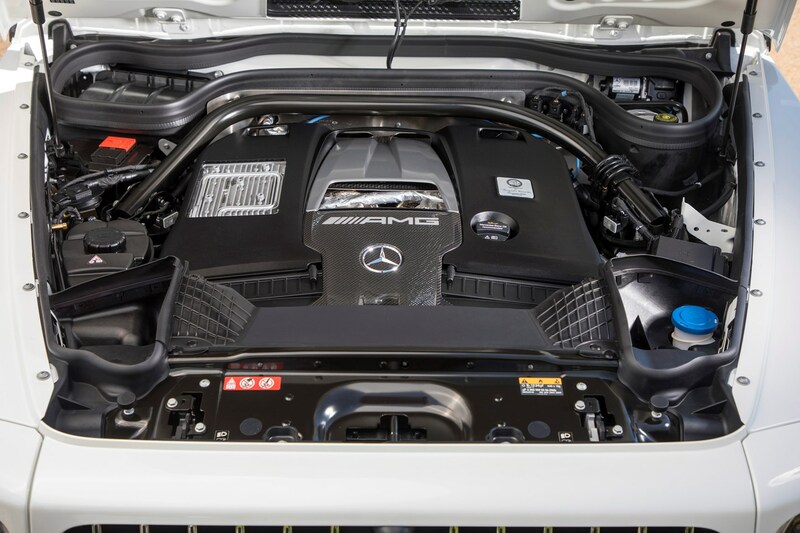 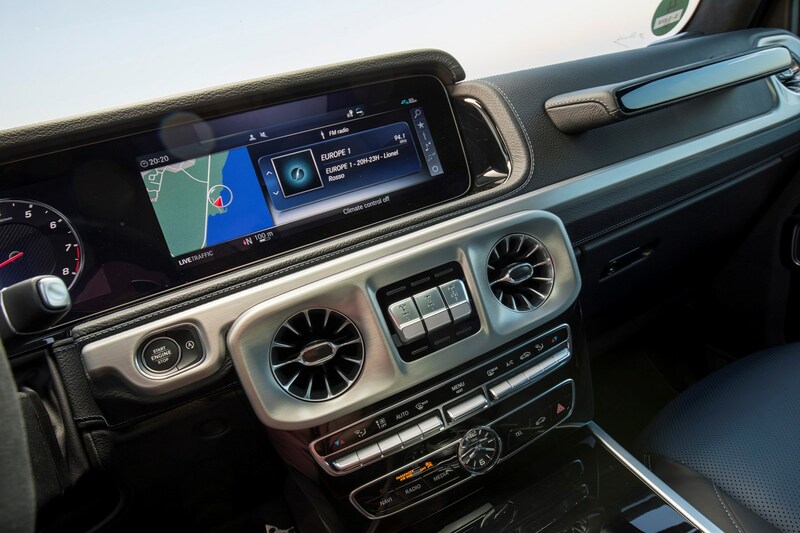 Much of the electronic architecture you’ll find on an E-Class or S-Class has been transferred over to the G-Class, so there are watchful digital eyes monitoring traffic flow around you and this car will intervene if it senses an impact is likely. 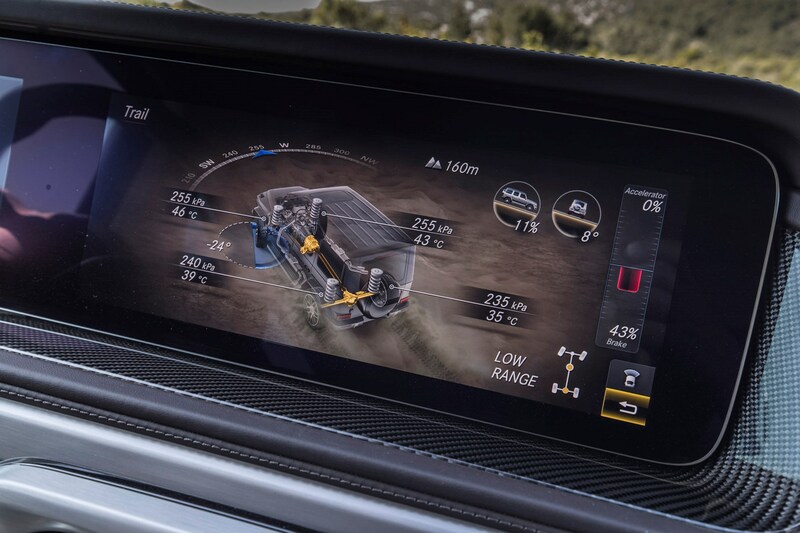 Electronic stability control is sophisticated enough to control skids and slides, while radar and cameras keep you driving in your lane, remind you of speed limits ahead and spot pedestrians or animals ahead, warning if they’re about to step into your path – and even braking automatically if you fail to react in time. 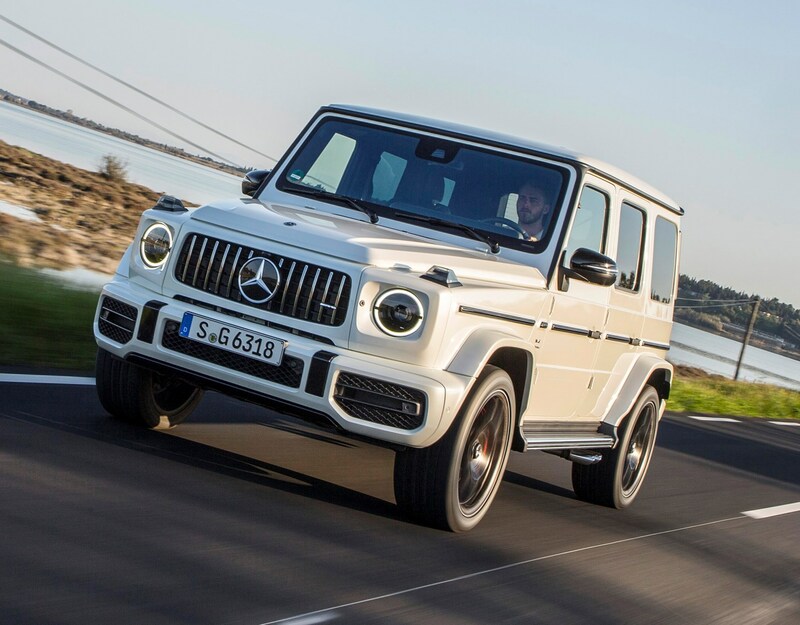 The Mercedes-Benz G-Class's safety is boosted in the UK by standard fitment of the Driving Assistance Package (an option in mainland Europe). 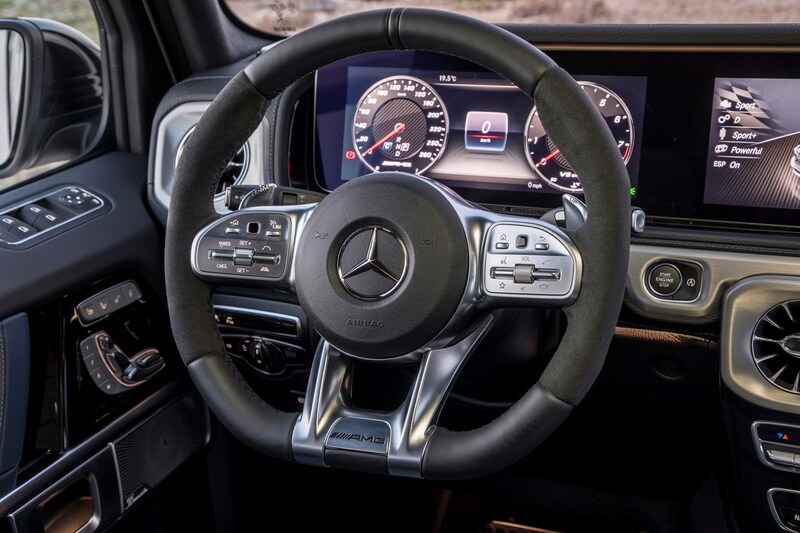 It bundles in radar-controlled cruise control, which keeps the car a set distance from the vehicle in front, so you can drive in convoy without having to control the pedals. 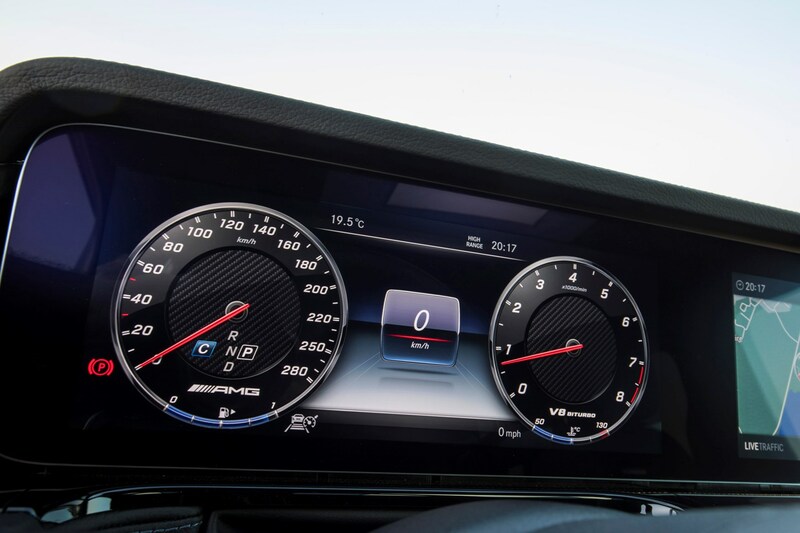 This system now works in stop-start traffic, taking the sting out of jams and roadworks. 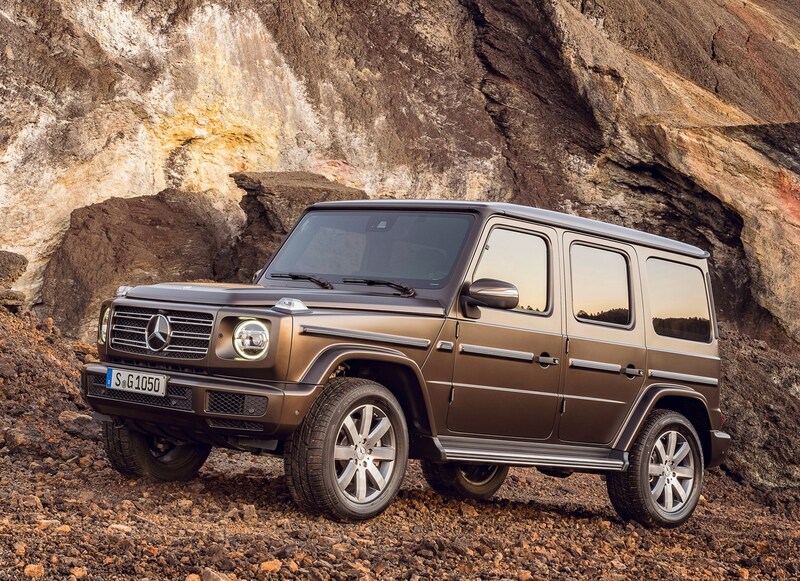 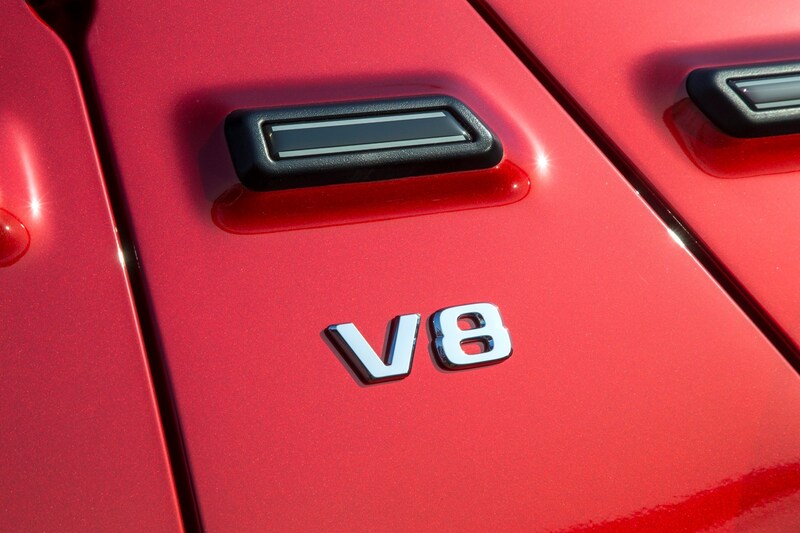 How many Isofix car seats can I fit in a Mercedes-Benz G-Class SUV? 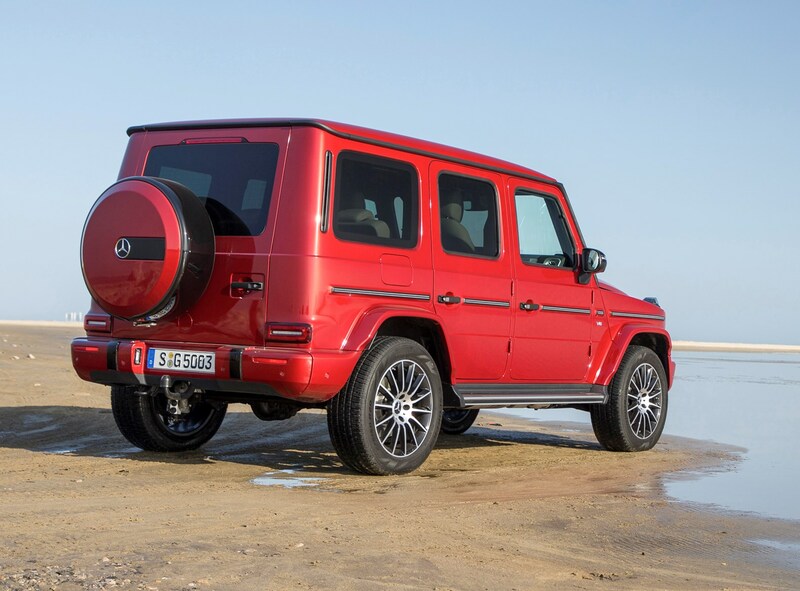 A pair of Isofix attachments on the two outer rear seats means you can easily attach a couple of child seats in the back of a G-Class. 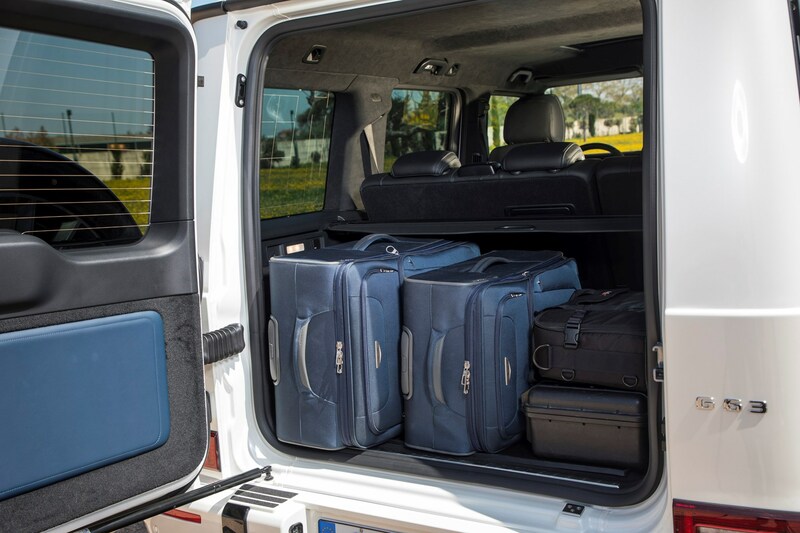 Big, wide-opening doors and the car’s unusual height ensure that fitting them is quite easy – it’s quite liberating not having to bend down to sort all the rigmarole of strapping your little ones into their car seats. 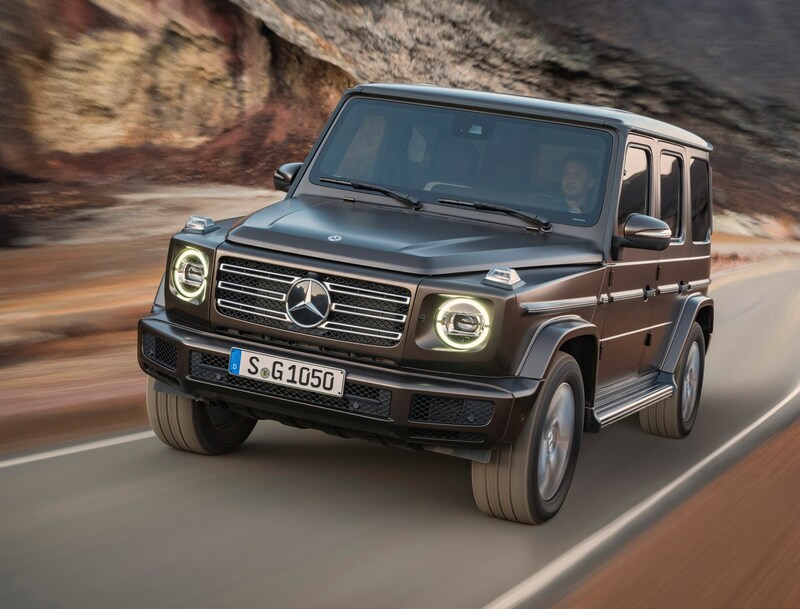 The latest Mercedes-Benz G-Class is longer, wider and taller than its predecessor, liberating more space for passengers. 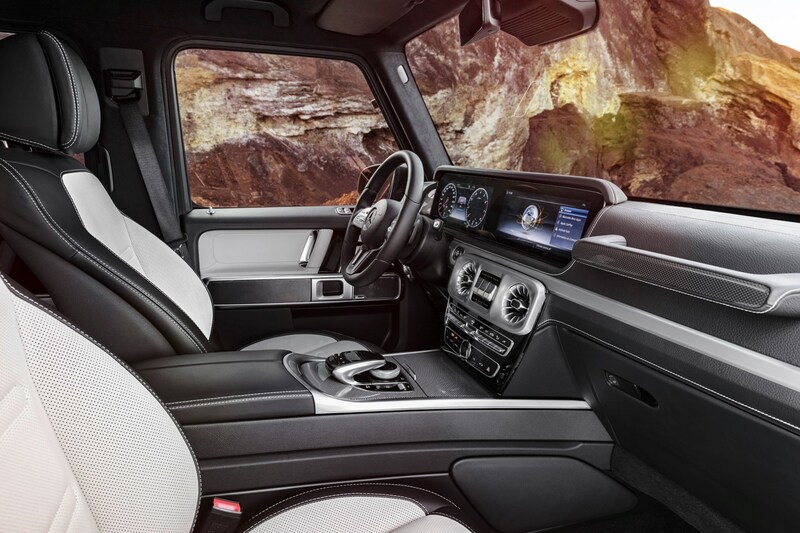 This is good news, as the outgoing G was embarrassingly cramped for such a large car. 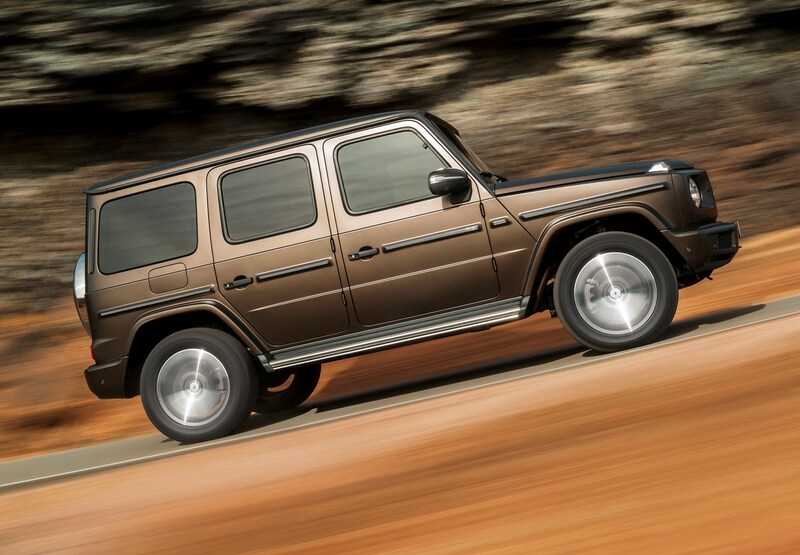 Extra elbow room is especially noticeable and you can sit four full-sized adults in a G-Class – and thanks to an unusually low transmission tunnel (another benefit of the ladder-frame chassis), you can realistically accommodate a fifth passenger in the rear middle seat, but legroom at the rear is at a premium if the front seat occupants are tall. 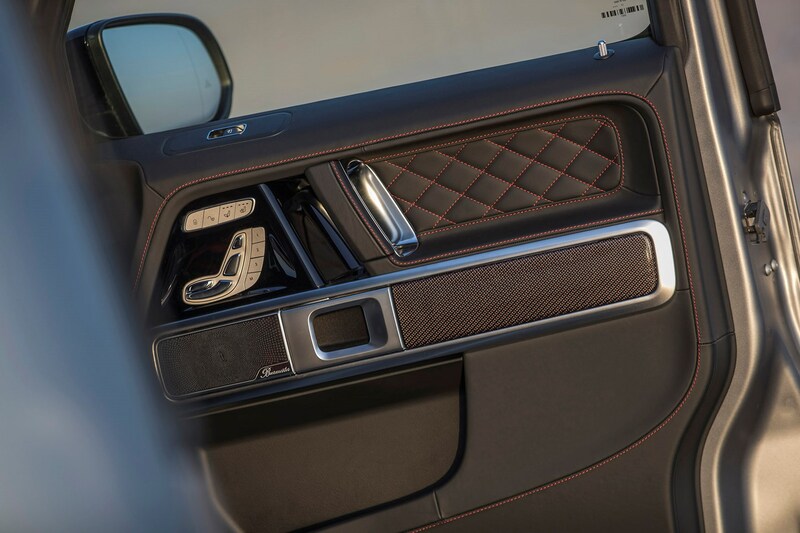 A wide variety of storage cubbies, cupholders and compartments looks after the ephemera of modern life, such as keys, phones and wallets. 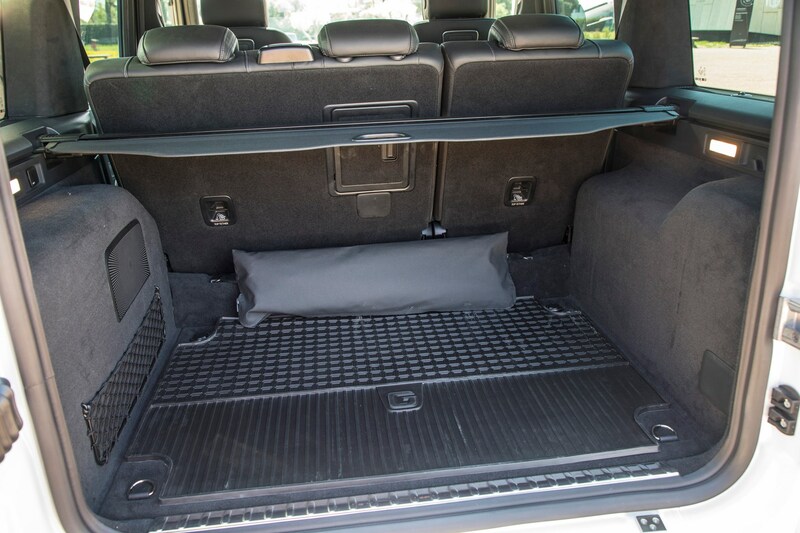 A ski hatch lets you carry long items in the car without recourse to a roof rack and a net in the boot holds odds and ends. 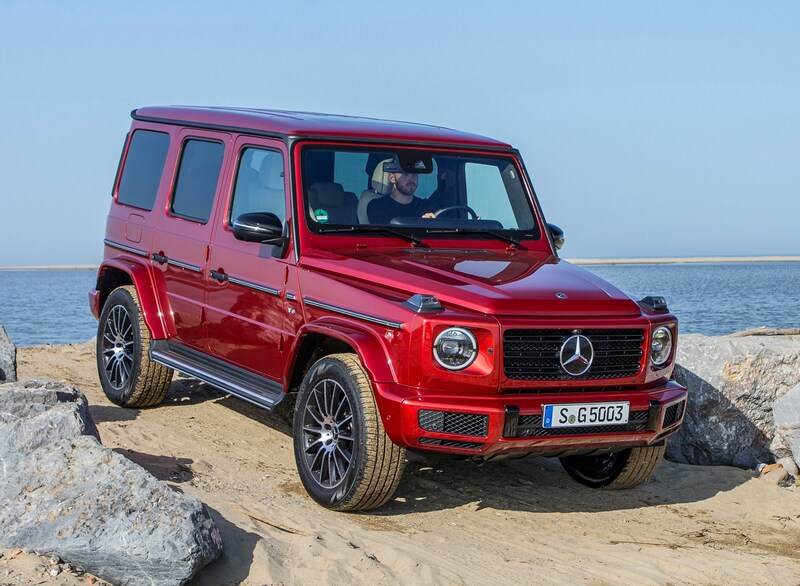 There’s a huge benefit to the perpendicular, set-square styling here: the Mercedes-Benz G-Class is surprisingly easy to place on the road and park, as visibility is excellent. 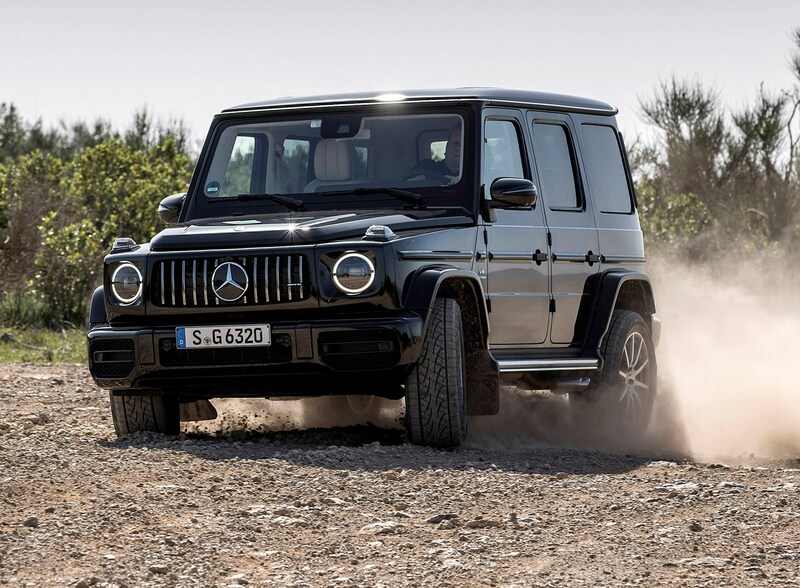 Parking Assist is standard on this off-roader, helping manoeuvring with a range of ultrasonic sensors to provide sonar-like beeping while a 360-degree, panoramic reversing camera assists when creeping backwards. 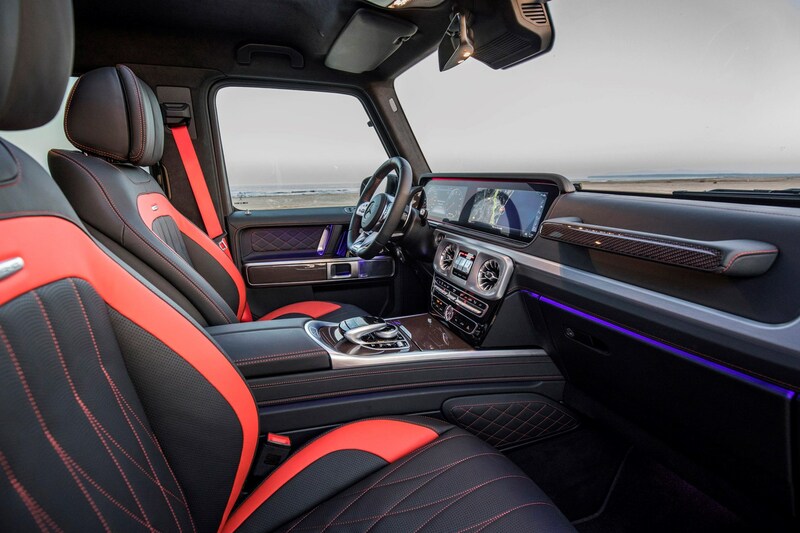 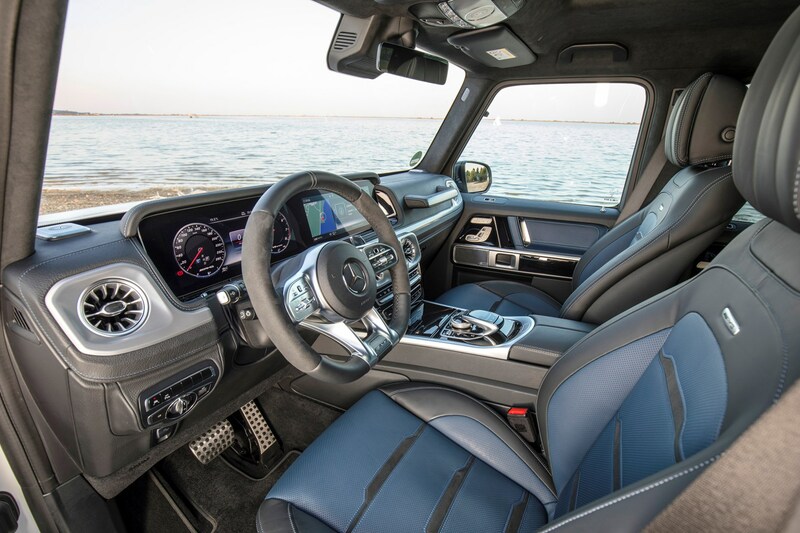 The improved steering set-up on the G-Class means it will also steer into a space automatically at your command, the wheel spinning eerily between your fingers. 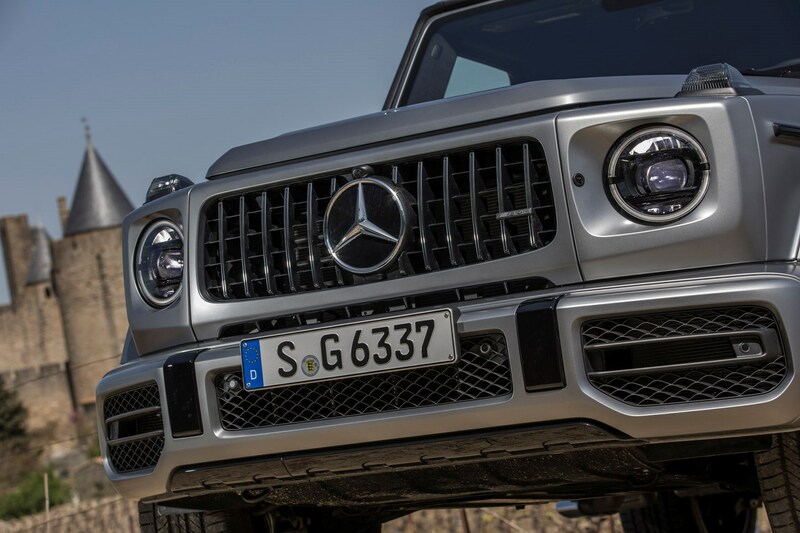 These tools help reduce the worry factor when parking what remains a big, unwieldy SUV. 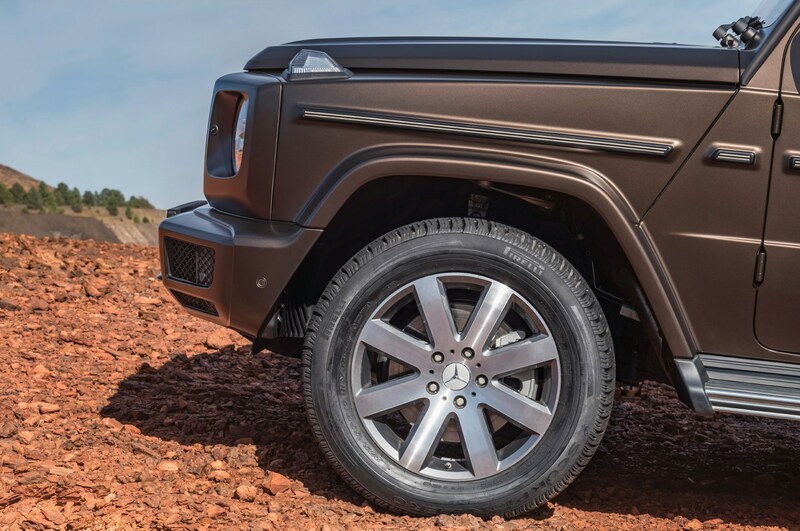 Like on the Land Rover Defender or Toyota Land Cruiser, the Mercedes-Benz G-Class’s tailgate has always been side-hinged. 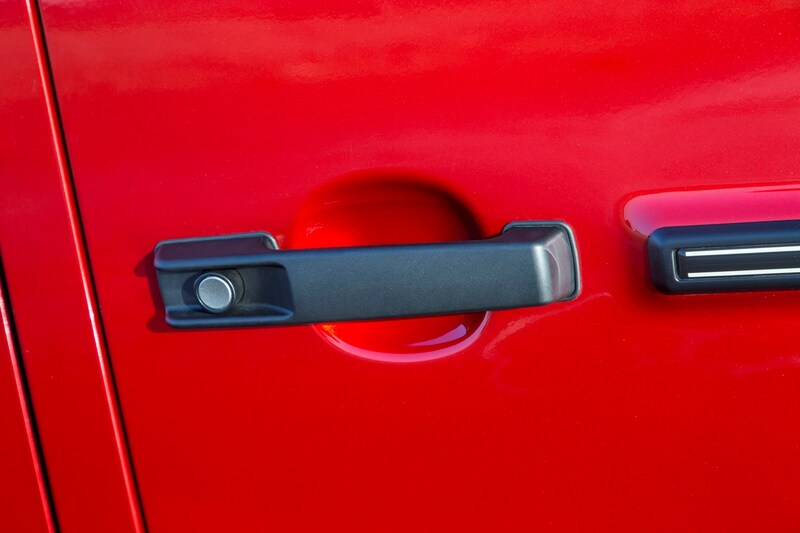 This can make opening the boot a little tricky, particularly in the UK as it’s hinged on the left – and the door is very heavy. 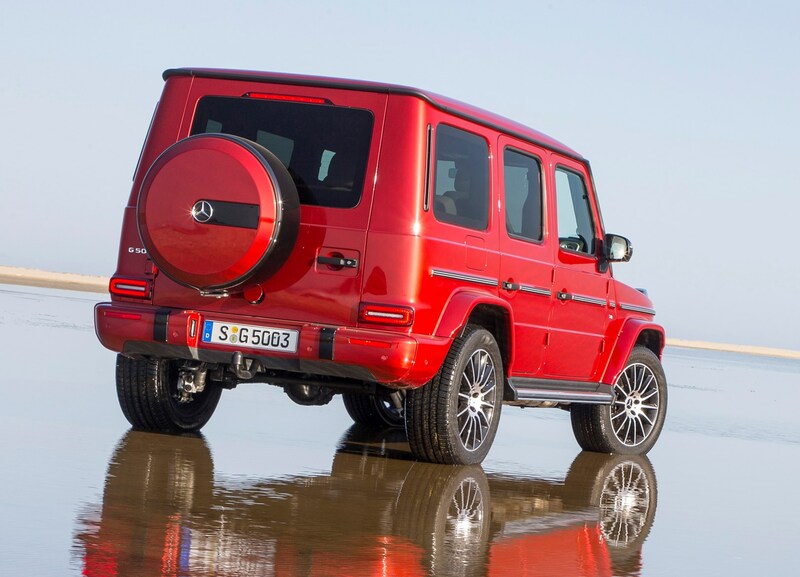 Blame the standard-fit, full-sized spare wheel bolted on. 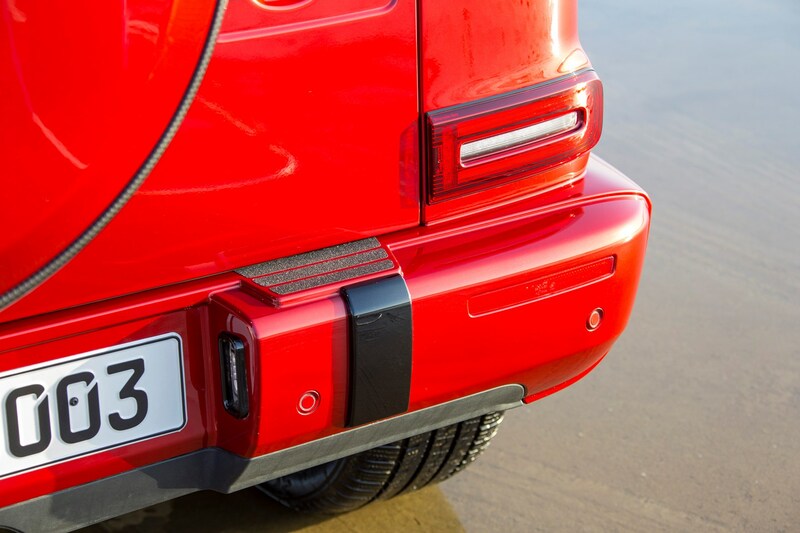 Thankfully, the gas strut is now intelligent enough to lock the tailgate in place no matter how wide open it is, so you can open it without worrying that it’ll blow into a parked car – or trap your fingers. 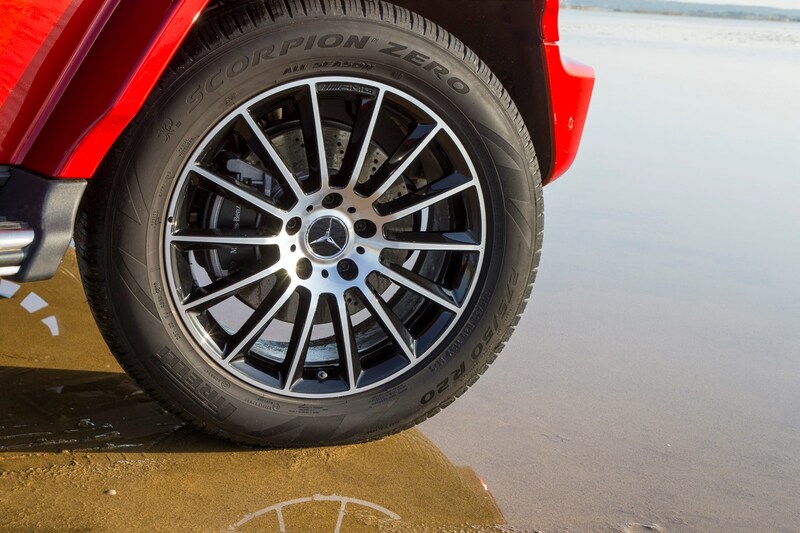 Once open, the boot size itself looks a little disappointing at first glance. 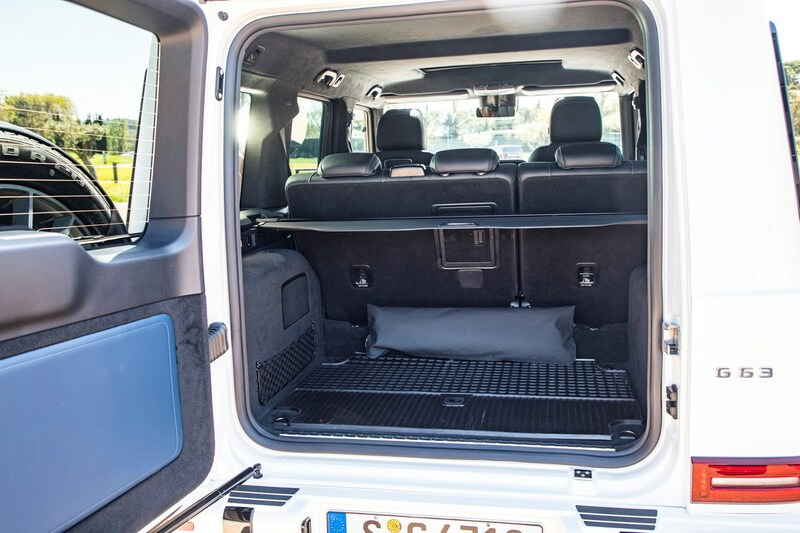 What look like wide wheelarches pinch the loadbay noticeably on either side, leaving a narrow boot space for your bags or dog. 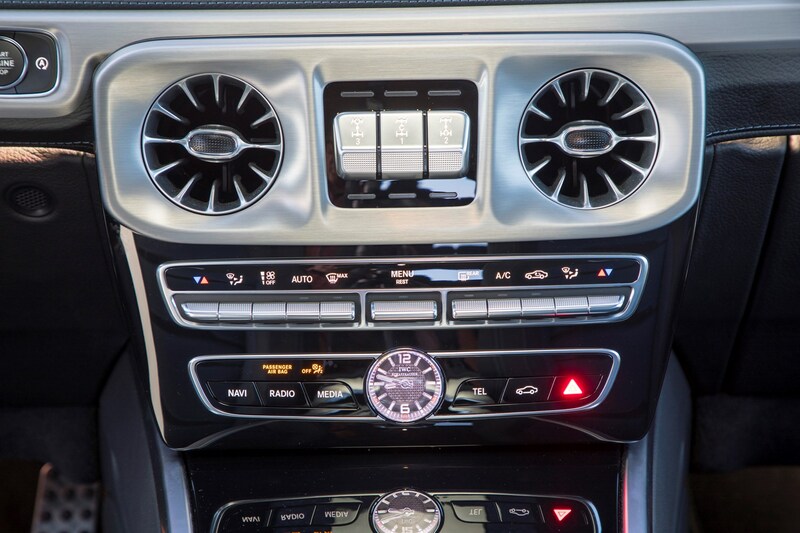 In fact, the sub-woofer for the stereo is responsible for the intrusion on the left-hand side, while the right-hand lump gobbling up your luggage space is in fact the fuel tank. 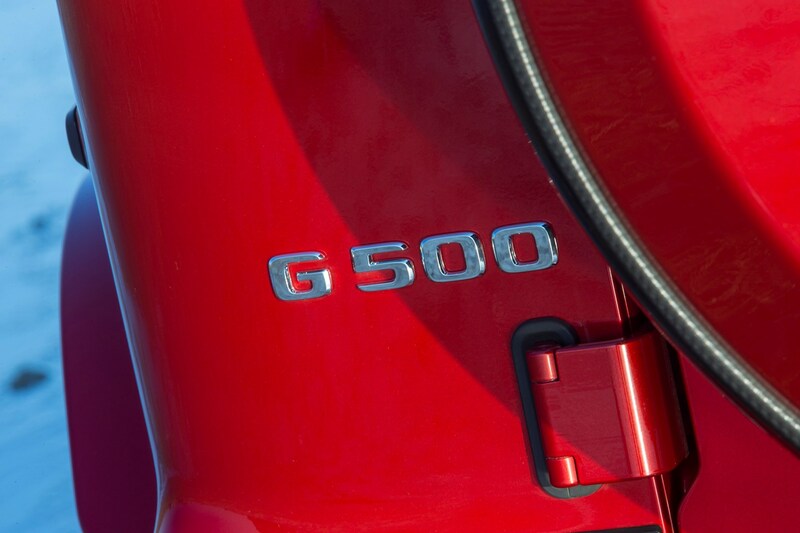 What remains is a square-ish 454 litres – not much better than you’d get in a family hatchback (that figure swells to 667 litres if you pack to the roofline – or 1,941 with the seats folded). 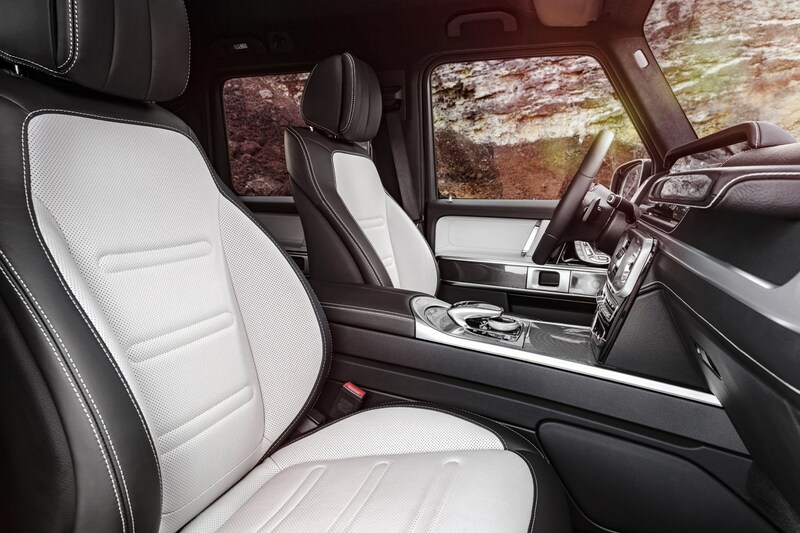 The rear seats do split in a 60:40 pattern, letting you carry longer loads. 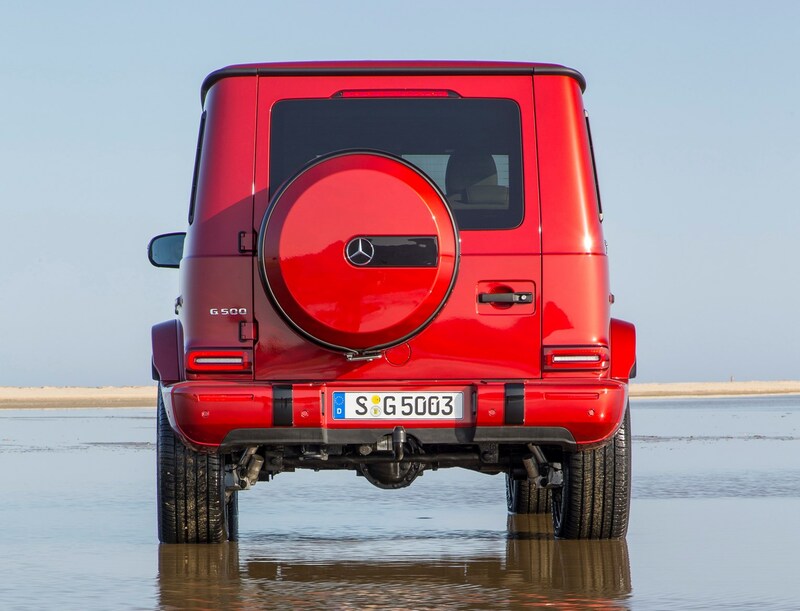 Just be warned that the G-Class’s heavy-duty off-roader construction means that the rear seats don’t fold entirely flat. 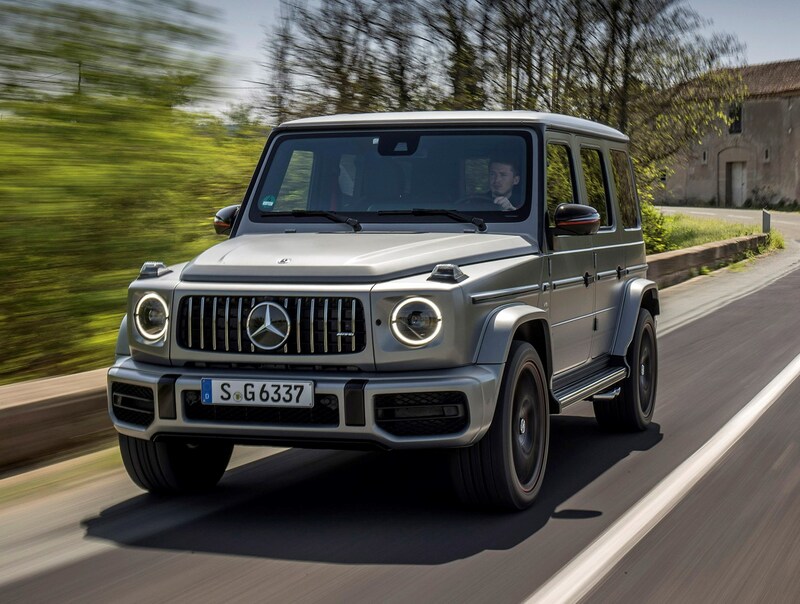 Check the table below to see how the Mercedes-Benz G-Class SUV compares to other similar cars in terms of available boot space.